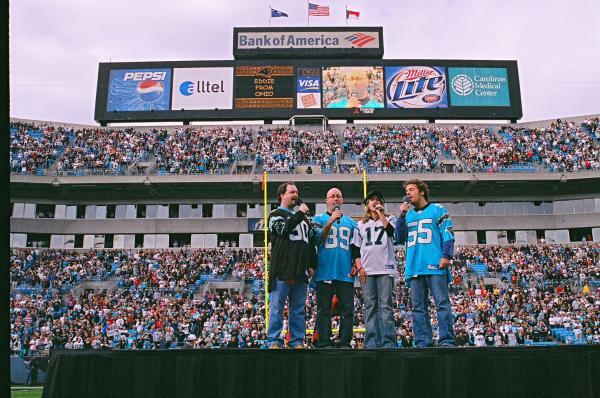 We've performed our National Anthem for every U.S. major sports league (NFL, NBA, MLB, NHL & MLS - also the NCAA). The only one not pictured was our NBA 2000 appearance at the MCI Center, when our hometown Washington Wizards hosted the Atlanta Hawks. Don't feel left out, PGA & Auto Racing, we contributed the theme song to an ESPN Reality Golf series & we mention NASCAR in one of our songs.